Here is a great solution for people who want to turn to the world of digital storage. As we all know, backups and storage devices today have become increasingly advanced and while we have the usual optical storage devices, here is one contraption that houses all of them and eliminate the need to be wary of safekeeping of data and files. This software-hardware integrated solution virtualizes physical discs and stores them in manageable virtual CD towers. This solution suits the needs of libraries, schools and small businesses as it aids in the management and organization of music, DVDs, videos and applications. TreasureStone VirtualDrive DVD Server can hold up to 1,000,000 digital photos, or 1,000 DVDs to be shared across a network among unlimited clients. With flexible management capabilities, the administrator can customize security access privileges at the high speed of 1000 MBPS. This virtualizing technology relieves the hassle of CD scratching, and conveniently helps organize physical discs. Virtual Cabinet–Allows the administrator to create 1000 virtual cabinets, set the privileges and share different virtual CDs for different clients. No Need for CD Drive–Converts physical discs to virtual CDs and eliminates the need for a CD-ROM! Virtualize/Clone CD and DVDs–Copy your CD/DVD and create an identical backup. Convenient and Economical–Unlimited licenses with initial purchase! Removes the hassle of physical discs and CD scratching. Web Interface–Access virtual discs under any system through a user-friendly WEB interface that supports Windows, Mac, Linux, and UNIX systems. Administrating Console–Flexible management capability; set security access levels within your network. High Speed–200X faster than physical discs! High Capacity–TreasureStone storage units available in 2TB and 4TB. Store up to 6,000 CDs, 1,000 DVDs, 1,000,000 photos, and more! File Archiving–Compiles important files, music, photos as a virtual CD/DVDs for easy management and sharing. 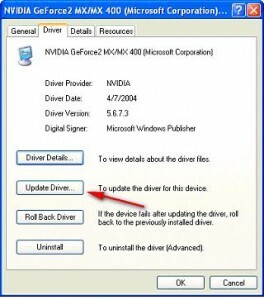 Are your Device Drivers Up to Date? Similar to the standards patches and updates service that Microsoft provides, independent manufacturers of your PC parts such as your video card, BIOS and network cards offer occasional updates to address issues such as driver incompatibilities and crashes that stem from the use of incompatible drivers. Now these updates do not solely cater towards people encountering problems with the drivers. Updating them can also help stabilize your system resources but some could care less. Unless the time comes you consider formatting your computer for one reason or another, these driver updates can come in handy. But the thing is, not all people are aware of these updates. You may say that they come out only by accident or if you happen to sign up with the actual hardware vendor. As a whole these updates have minimal impact but if the old drivers were giving you problems, then it is best to check out the updated drivers that are free for use by anyone normally on the vendor website. So if you want to avoid the problems of finding out later on that your current drivers do have bugs that need fixing, maybe it would be best to download the updated drivers and override the old ones. It doesn�t take much effort although make sure you can roll back the drivers in case issues suffice. Remember that upgrading and updating are constant. Latest versions do not always mean they will be the last. For people who want premium performance from their computers, they would normally check out the market. Would you buy a new one or a second-hand computer? Let us take them up individually. When you buy a new computer you have no worries to think about. Except perhaps for some hardware defects which are for sure to be covered by supplier warranty, you not only enjoy the benefits of new technology peripherals but can also expect to enjoy the leisure qualities of a brand new computer and use programs at a more optimized rates. While the price for buying a new one may be stiff on the pocket, rest assured you can have lesser things to worry about like breakdowns or hardware failure. You have supplier warranty and service under your wing at least for a year in most cases. For people who want to save on cost, they usually define first why they would need a computer. There are people who sell their old computers to buy new ones. The money they get from selling their old computer will certainly be helpful especially if you consider the price of a new PC. On the part of the buyer, you have a lot of things to worry about. Issues such as hardware and components installed are sure to be playing around in the mind. The question of “how long will this PC last?” is sure to be the top question they would have. But perhaps the real question would have to be “Is a Secondhand PC worth the price?” We all know that being cost-conscious is one thing but as far as computers are concerned, do include in your consideration the fact that technology evolves fast. A used PC may be outdated faster than you know it. Think ahead and define why you need a PC. It will evidently point you in the right direction.